What is the difference between deer scram professional and deer scram regurlar (white pail)? The white pail is a retail version and comes in a smaller 6 lb container. 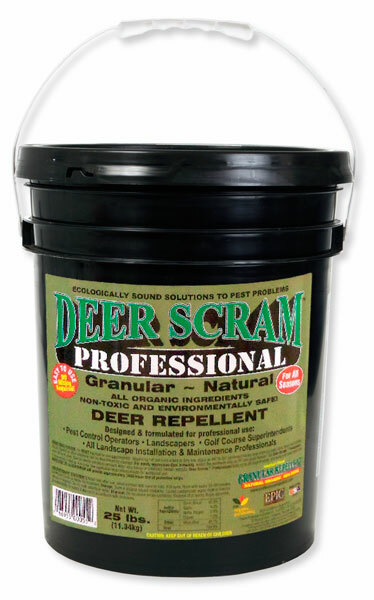 Deer Scram professional comes in a 25 lb container and is not available at most hardware stores. Usually it is only sold professionally.